UNITED STATES: Dominion Virginia Power has invited a second round of bids to build the Virginia Offshore Wind Technology Advancement Project (VOWTAP) after the first round was found to be too expensive. The developer held a stakeholder meeting last week to discuss the project and ways to reduce costs. 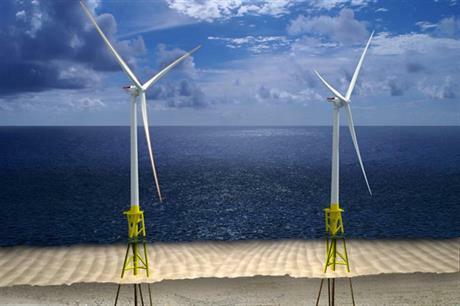 Bids will be sought in early 2016 for contractors to build the two-turbine project, planned for a site 35 kilometres off the northeast US coast. Dominion received a single qualified construction bid in the first round. The estimated cost of the project of $400 million was nearly twice the amount Dominion had expected. The unnamed bidder was also unable to guarantee the price would remain at that level. A contract was never signed. Dominion said it would use a "multi-disciplinary" approach to the bids in order to reduce the cost by using multiple companies each portioned part of the work. In the first round, companies bid on the whole project. Alstom was due to supply two Haliade 6MW turbines to the project before Dominion said it was to be delayed due to the spiralling costs in April. In May 2014, VOWTAP was one of three projects awarded $47 million by the department of energy (DOE) to fund construction. A Dominion spokesperson said that funding would not be affected by the delay. The DOE said the funding would remain under review. "The energy department will take ... developments into consideration during the annual project assessment that all of the Offshore Wind Advanced Technology Demonstration Projects must go through."